At ASI, we’re more than just a shed company. We’ve worked with steel for over 40 years; we know how to build the best solution for your project. Our distribution network, with over 24 manufacturing centres, is Australia-wide. 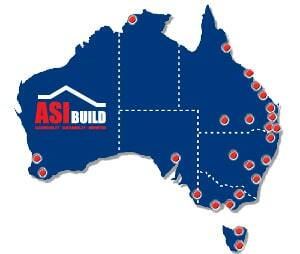 ASI is a reliable and trustworthy building partner, committed to understanding your building needs from the outset. Using world-class design technology and a comprehensive quoting process, we can deliver a building to your exact specifications. At ASI, we’re known for delivering the quality engineering and innovative design that you’d expect in a premium quality custom steel building. Trusted by large corporations, government and families alike, we enjoy a reputation as one of Australia’s leading designers and manufacturers of high-quality pre-engineered and pre-fabricated steel buildings with a strong commitment to client satisfaction. A member of the Australian Steel Institute and ShedSafe accredited, we also uphold the highest standards in safety. Using genuine BlueScope steel and our own unique bracket system, every design we offer is pre-engineered for your site and wind load conditions, making our range the most durable and cost-effective on the market today. Our customised site-specific design and quoting software, ASI Tool Box, makes us fast and accurate in the creation of quotations, engineering design drawings, architectural presentations and bill of quantities for your custom project. 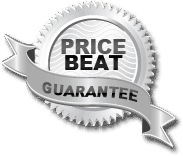 Enjoy a responsive and in-depth service through our one-page quote form, with a guaranteed reply within 24 hours. We work with you to understand your needs. Practicing open and regular communication, and competitive pricing, you can be confident ASI will deliver to and exceed your expectations. To arrange a no-obligation quote, contact us today on 1300 760 007 or request a quote online. ASI Build is now on Facebook! We’ll be bringing you the latest industry news, helpful tips for your next custom project and exclusive ASI rewards each week. Join our community and like our page on Facebook to stay in touch with us. At ASI, we’re committed to providing our clients with quality, service and advice at the right price. We look forward to discussing your next custom project. Call us today on 1300 760 007 for a free no-obligation quote. At ASI, we pride ourselves on our capacity to deliver quality service and advice at the right price. With over 8,000 completed projects under our belt and counting, we understand the pre-engineered/pre-fabricated steel building industry. We have worked in urban and rural areas throughout Australia; we know how to build the strongest and most durable steel buildings in any location to suit your requirements and budget. ASI stands firmly behind its range of products. Offering a full construction service, ASI can work with you every step of the way – from estimation to assembly – whilst upholding the highest standards in safety, design, material and fabrication. The premium choice for your next project, our qualified team can assist you in selecting the best design to suit your style, size, configuration or purpose. To motivate all employees and associates to display loyalty and achieve quality. Call us today on 1300 760 007 or submit an enquiry and we’ll help you develop the perfect solution for your project.